For such a tiny animal with simple needs, there is an overwhelming choice of food, supplements, treats and toys available for your guinea pig. With so many choices it's hard to tell the difference between advertising hype and what your little pal actually needs. Fortunately, salt spools are good for him, so there's no need to worry whether you're offering him something bad for his health. It is good for a guinea pig to have unrestricted access to a salt spool. The spool ensures that he can consume the sodium that his body needs whenever necessary. Attach it to the side of his cage in a location that is easy for him to access, but that does not interfere with eating or drinking. The spool should also be in a place that is easy to clean so that bedding doesn't get trapped around it. Every mammal, including your guinea pig, needs salt. Sodium is vital in keeping cells hydrated, absorbing nutrients and transmitting signals between muscles and nerves. If your guinea pig doesn't get enough salt, his body can have trouble maintaining proper blood pressure and volume. Since his body can't produce its own salt, he must consume it. The sodium is continuously used and excreted, and must be ingested on a regular basis. There are plain white salt spools which contain only salt and are sufficient if your guinea pig is getting the rest of the minerals he needs in his regular diet. Mineral salt spools, however, also contain vitamins and minerals to help supplement any deficiencies. Flavored salt spools are also available to entice your guinea pig to lick or chew the spool. While some pigs might have a great preference for a certain flavor, most will gladly lick whatever type of spool is available. Some guinea pigs will lick a salt spool daily and consume it quickly. Others will only use it on occasion, while a few might not use the spool at all. 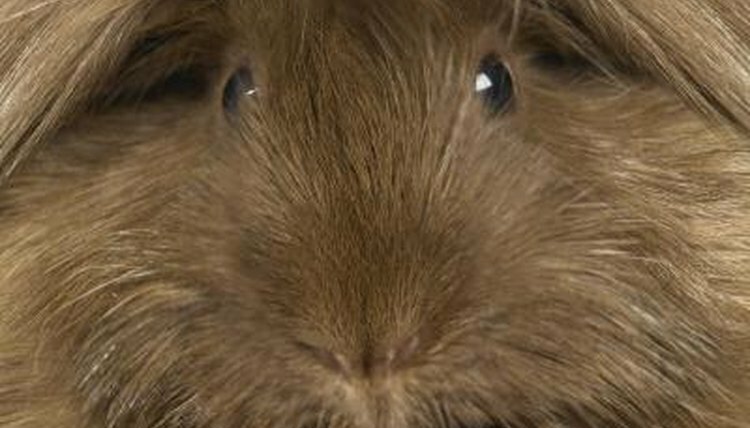 The needs of each guinea pig vary, depending on genetics, health conditions and diet. Most commercial diets contain enough sodium to keep a guinea pig healthy. Generally, it is best to let your guinea pig decide for himself how much to use the salt spool. If you are concerned that he is either getting too much or not enough salt, however, discuss it with your veterinarian to determine whether you should remove the spool or offer other supplements. Royal Society of Chemistry: Why Do We Need Salt?